After Jesus read from the scroll of Isaiah, He delivered a message—a sermon, if you will—to those assembled in the synagogue (Luke 4:21-27). All the references to Jesus teaching or preaching in the synagogues of Galilee also bear testimony to the fact that the synagogue was pre-eminently a place of biblical instruction (see Mathew 4:23, 9:35, etc.) where the sermon was as regular a part of the service as the prayers and the Bible reading. In Acts, we find Paul regularly preaching in the synagogues, whether in Damascus (Acts 9:20), on Cyprus (Acts 13:5), in Pisidian Antioch (Acts 13:16-41, 44), Iconium (Acts 14:1), or other places. 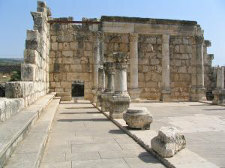 Apollos followed Paul’s example and preached in the synagogues as well (Acts 18:26). No further proof is necessary to establish the importance of the sermon in the regular synagogue services. Outside Judea, the pattern of teaching in the churches continues. Because of the burden of the work in Antioch, Barnabbas went to Tarsus and brought Saul to Antioch, and “they met together for a whole year with the church and taught a significant number of people” (Acts 11:26). Acts 13:1 states, “Now, there were in the church at Antioch prophets and teachers,” which included three others besides the soon-to-be missionaries Barnabbas and Saul. After their first missionary journey, once again Paul and Barnabbas are in Antioch, “teaching and preaching the word of the Lord along with many others” (Acts 15:35). Acts 20 refers to two sermons by Paul to audiences composed of Christians. Acts 20:7-12 reports the circumstances of Paul’s all-night message “on the first day of the week” to the assembled church at Troas, then Acts 20:17-36 records his message to the elders of the church in Ephesus (the only apostolic message to a Christian audience in Acts, the substance of which is recorded). In his message to the Ephesian elders, Paul repeatedly notes the fact that he had “taught them publicly and house to house,” that he “went about proclaiming the kingdom,” and that he had not “refrained from declaring all God’s counsel” to them (Acts 20:20, 25, 27), all of which add supporting testimony to the prominence given to teaching/preaching in the churches. Paul’s letters also contain repeated references to teaching and teachers in the churches. In Romans 12:6, 7, he wrote of those with the gifts of prophecy and teaching. In 1 Corinthians 11:4, 5, he mentioned both men and women “prophesying,” a much-disputed verse (on which, see the forthcoming section on women in the church). In Paul’s lengthy treatment of “spiritual gifts” in 1 Corinthians 12-14, the subject of teaching, preaching, and prophesying is repeated touched upon. “Prophecy” is noted among the gifts (1 Cor. 12:10), and the presence in the church of prophets and teachers is mentioned (1 Cor. 12:28, 29). 1 Corinthians 14 gives the only extended NT description of the actual place and practice of preaching in a church. “Prophesying” (1 Cor. 14:1), which is generally understood as a reference to preaching, is given the pre-eminence among the gifts by Paul. This practice edifies the church (1 Cor. 14:3). Prophesying in the church can lead to the conviction and conversion of unbelievers who meet together with the church (1 Cor. 14:24-25). Public instruction by prophets should be limited to two or three at a given meeting, and must be done in an orderly fashion (1 Cor. 14:29-31). In Ephesians 4:11, Paul mentions among the gifts God gave to the churches “prophets, evangelists, and shepherd-teachers.” In his first letter to Timothy, who was pastoring the church at Ephesus at the time the letter was written, Paul instructs Timothy to devote himself to “exhortation and instruction” (1 Timothy 4:13). In setting forth the requirements for holders of the office of elder, he declares that they must be “able to teach” (1 Timothy 3:2), or as he states elsewhere, “able to exhort with sound teaching” (Titus 1:9). Men who fulfill this duty by “laboring in word and doctrine” are to be considered worthy of “double honor,” that is, the honor of respect as well as the honor of financial support. * Philo Judaeus, The Works of Philo, trans. by C. D. Yonge, p. 574. See also what may be another description of the Sabbath synagogue sermon in “On the Contemplative Life,” III:32, p. 701. It should be noted from comparing Col. 3:16 and 1:28 that the ministry of the Preacher and the ministry of the Musician is the same, with the goal being "to present everyone complete in Christ." This is not a 'new' truth; it is as old as the appointment of the Levitical musicians "to prophecy" (2 Chron. 25:1, 2, 3, 5); of the poetic pattern of the messages of the prophets; the command of Elisha (2 Kings 3:15); the argument from silence on the lack of a 'preaching' presence in the Temple (apart from the 'prophesying' musicians); and the specific command given to some prophets to deliberately place themselves in the Temple precincts (e.g. Jer. 7;1-2, 26:1-2, 36:5-6, Acts 5:20). The principle is that "The ministry of Music is a ministry of The Word just as much as is the ministry of Preaching." There are significant implications of this principle for the 'contemporary' congregation (in terms of both chronology and style). One of them is that the Ministry of Music falls under the same rubric as the Ministry of Preaching. I think it is safe to say that if this principle had been recognized and obeyed, the so-called "worship wars" would not have happened, or at least would not have been as severe or long lasting. That should be 2 Chron. 25 . . .
James, I'm inclined to agree... not that either form of word-ministry can replace the other, but both are part of the overall ministry of the word. 1 Corinthians 14 gives the only extended NT description of the actual place and practice of preaching in a church. “Prophesying” (1 Cor. 14:1), which is generally understood as a reference to preaching, is given the pre-eminence among the gifts by Paul. That prophecy = preaching seems very inconsistent and I agree with Aaron. Prophecy brings in new revelation, whether inspired speech, or, as argued by Grudem, inspired leadings to say something, albeit not verbally inspired speech. "All may prophesy one by one" sounds goofy replaced with "all may preach one by one."